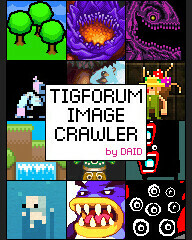 Announcing TIGJam UK 6! A weekend of making games in Cambridge, UK. Everyone’s welcome to come and make games, regardless of experience or background :) More information on this forum thread. More information on this forum thread. Pass the word around, and register now! £5 each, which will go towards goodies! You’ll be expected to buy food and drink at the venue. This hostel is super convenient! £16.50 per night if you organise a group room on the forum. The event is within walking distance from Cambridge Train Station. It’s easy to get to Cambridge from Stansted airport, and you can travel up from London Kings Cross or London Liverpool St rail station. Pass the word around, and register now!